carfax report = 0 get_carfax(WDBLK70G13T134997, N, 2019-04-22 05:19:16|0, autos, autoID, 1274) -- 980 Security Violation. 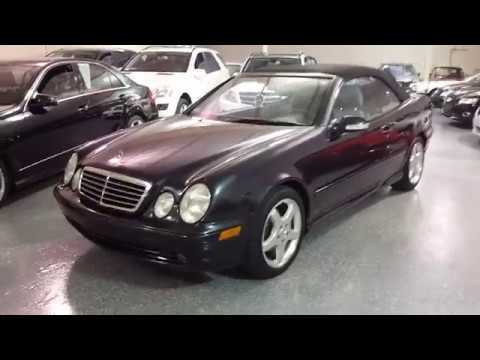 2003 Mercedes CLK430 Convertible AMG, Black Opal Metallic with gray leather, 30K miles, Power top with heated rear glass, power heated memory seats, Xenon lights with washers. Automatic climate control, stability control, rain-sensing wipers, AMG Sport Package, AMG staggered wheels with recently new tires, V8 power, sport suspension. Fully detailed. EXTRA CLEAN! Select Motors, LTD. has been visited 13,719,078 times.